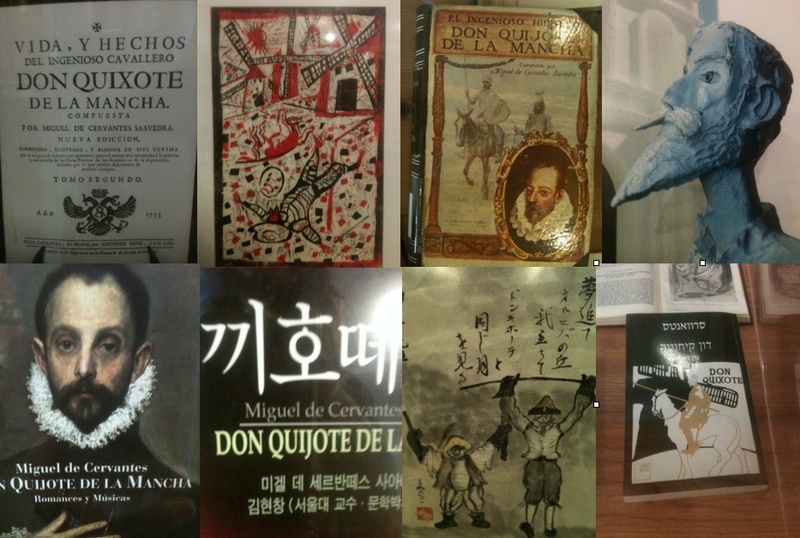 Tucked away in a locked room in Órgiva is a collection of books that have one thing in common: they are all versions of Cervantes’s Don Quixote – or, to give it its full Spanish title: ‘El ingenioso hidalgo don Quijote de la Mancha‘. A framed newspaper clipping states that the public library, where the books are housed, is ‘an authentic treasure to discover, disseminate and add to’. Indeed, it’s like stumbling upon a secret room in the British Library bursting with beautiful books in wooden cabinets – some old, others new. Many editions have been bequeathed to the collection by the famous and not-so famous. 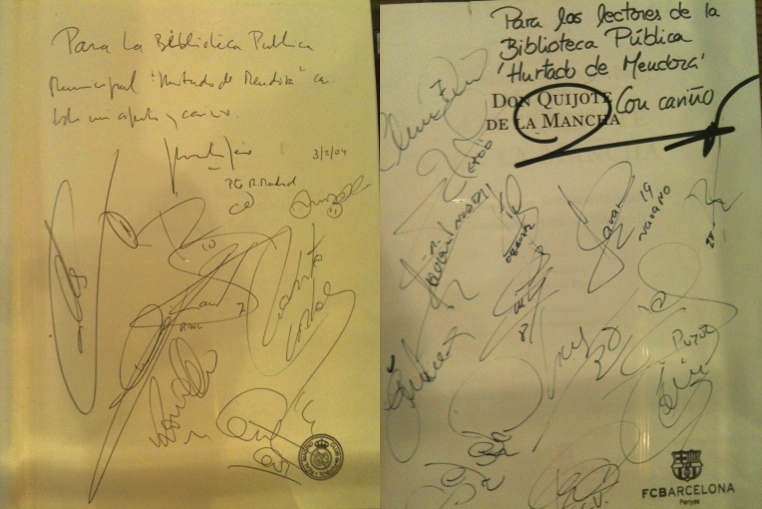 Others have simply been signed – two copies, with a respectful distance between them, by team members of Real Madrid and Barcelona in the mid-2000s. The classroom (Aula Cervantes Agustin Martin Zaragoza) which houses the collection was inaugurated in 2001. 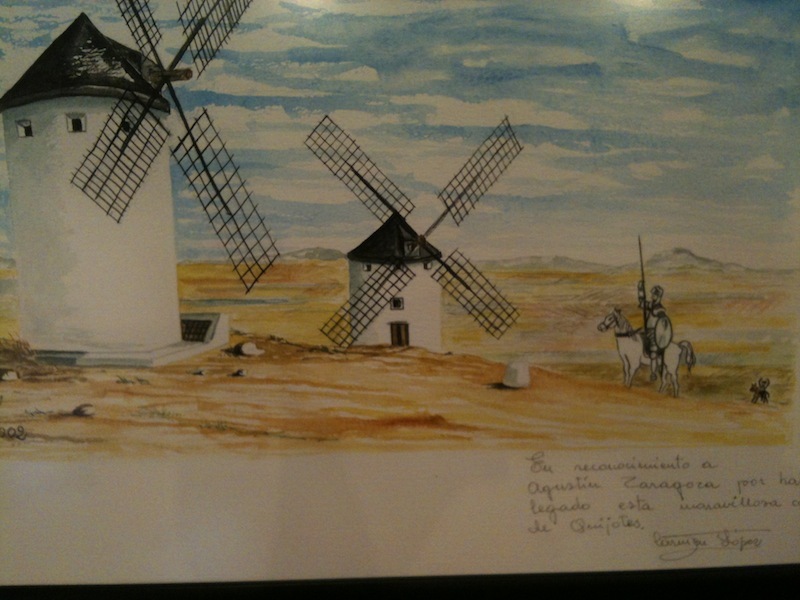 However, the collection was started in 1967 by Don Quixote enthusiast, Agustín Martin Zaragoza, who was librarian here between 1953 and 1999. 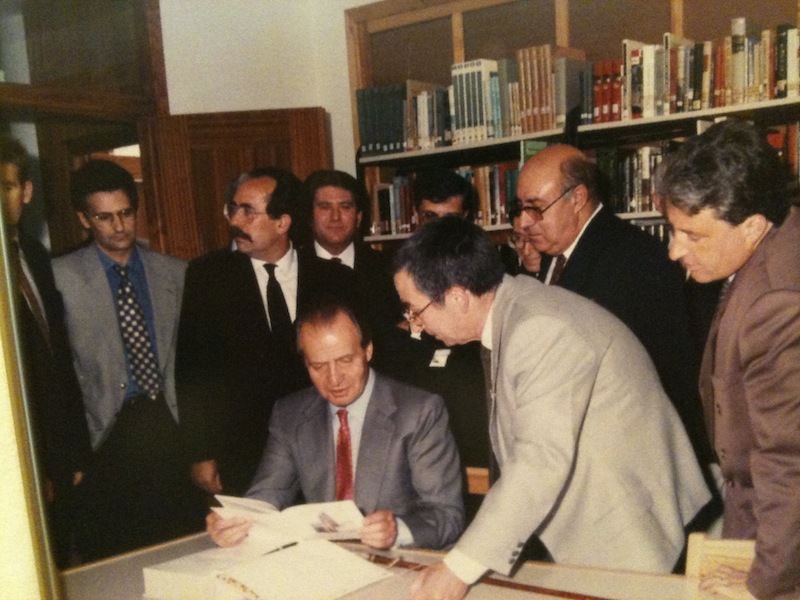 A copy was signed by King Juan Carlos I during an official visit to Órgiva in 1994 – although the copy had already been donated by him previously. We were lucky enough to meet Martin Zaragoza and spoke to him in Spanish as best we could. When we asked what his favourite edition was he said: ‘All of them’ – and there’s even a copy signed and illustrated by Salvadore Dali. Miguel de Cervantes Saavedra’s classic was published in two volumes, in 1605 and 1615. To our shame, we’ve never read the book – the ‘first modern novel’ – but we will do now, how could we not? Without the book, we’d not have expressions like: a wild-goose chase; pot calling the kettle black and the sky’s the limit. 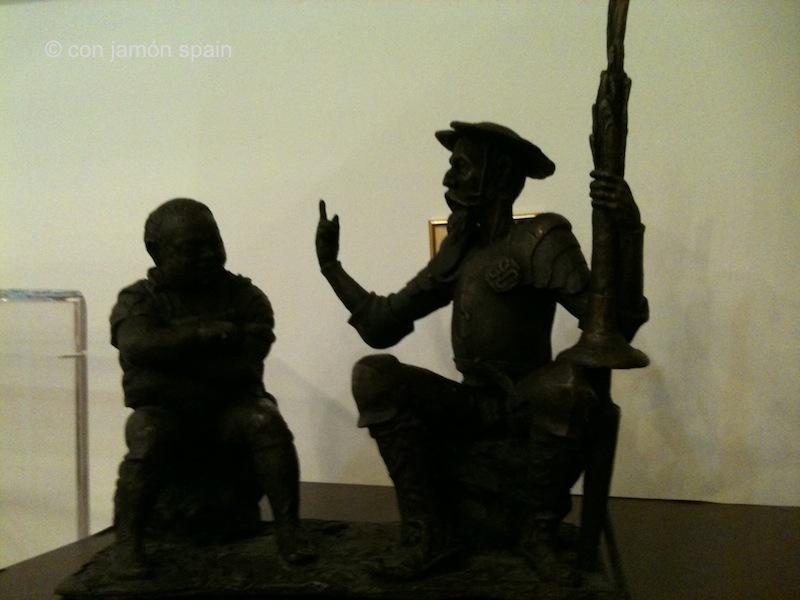 From what we know, Cervantes had no connection with Órgiva. 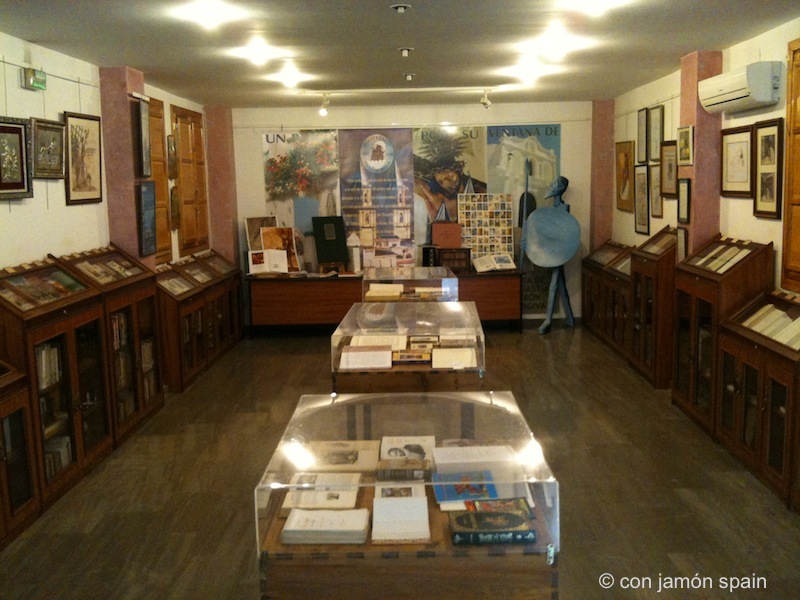 The library and collection is on Órgiva’s Plaza Alpujarra (main square) next to the indoor market. You can read the book here and there’s this BBC Radio 4 ‘In Our Time’ discussion about the novel. Superb surprise in Orgiva lovely exhibition. Sad Martin Zaragoza has just died. 6.215. We just missed him. It’s a delight isn’t it? Martin couldn’t have been more friendly and helpful. As long as ‘his’ library continues, that would be a fine legacy. Can I ‘like’ this 150 times??? ?